Join us on Friday, November 6 at the Lynn Redgrave Theater in New York City for a musical benefit to support the Afghan Women’s Writing Project. Tickets begin at $20 ($10 for students) and can be purchased here. Raffle tickets for sale, with prizes that include two tickets to upcoming revival of Broadway musical She Loves Me. Winners need not be present to claim prize. 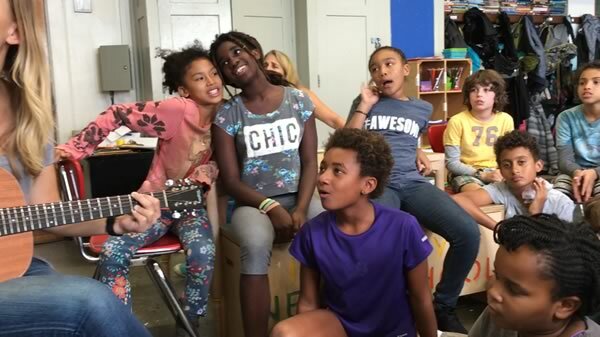 For the second year in a row, students from the Brooklyn School for Collaborative Studies & The Brooklyn New School have participated in a series of Passerine Project songwriting workshops with Emmy-nominated producer/composer Shevy Smith and recording artist Kendall Custer. These local students have adapted poems from the Afghan Women’s Writing Project into original songs, while learning how art blossoms even in the most repressive circumstances. This night is the culmination of their work, and will feature live performances and celebrity readings. This will be an extraordinary night of cross-cultural understanding and artistry that is not to be missed! This event is co-sponsored by the BMI Foundation.